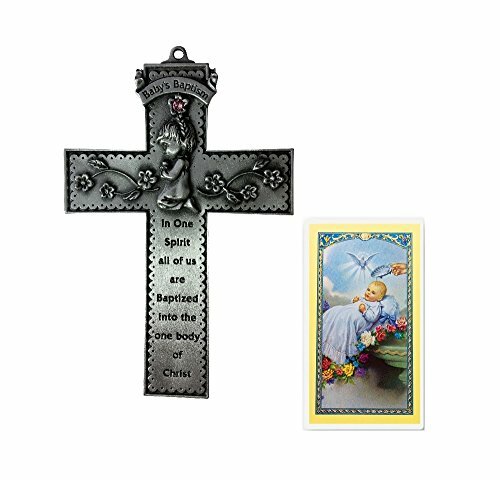 Celebrate the blessed memories with this beautiful hanging cross. Bright-eyed and full of wonder, this precious baby girl has just been baptized into God's family. Commemorative cross features space on the back for you to write Baby's name and christening date (pen not included). A constant reminder that Baby Girl is loved and protected for all of her days; it is a faith-filled addition to her nursery. 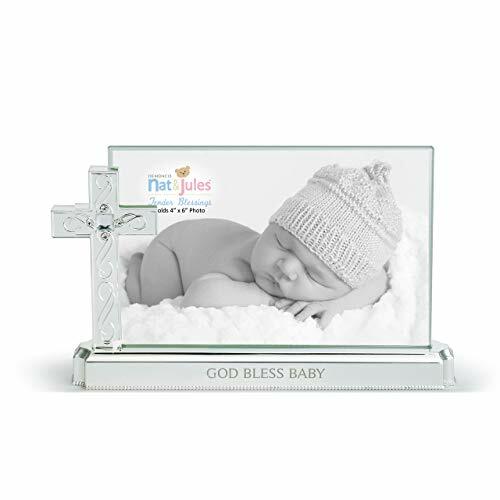 Give this intricate cross as a baptism gift or christening gift and it is sure to be treasured throughout her childhood and beyond. This piece has been meticulously sculpted of fine bisque porcelain and expertly hand painted. Approximately 6.25 inches high. An adorable Baptism Christening Set for a baby girl. 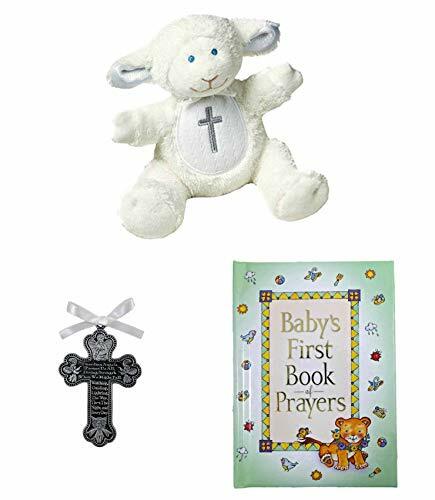 Serenity Baptismal Lamb is 13" High and holds a removal Cross Pendant that is imprinted with Jesus Love Me, Baby's First Book of Prayers is 4.5" X 6", has a soft padded cover and is filled with 41 sweet prayers Comes with a gift tag and envelope "for you. . . With love". 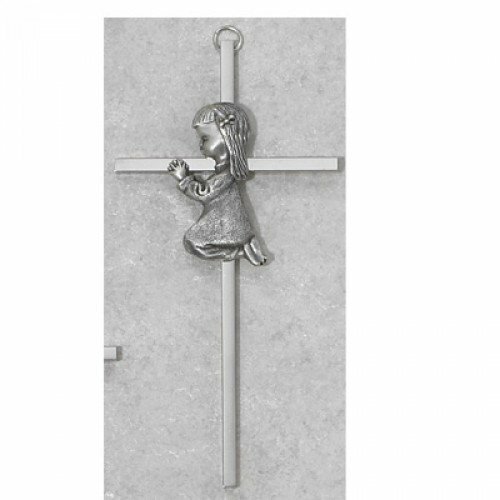 Quality Craftsmanship describes this baby girls wall cross with Pewter Finish and handset Austrian crystals. 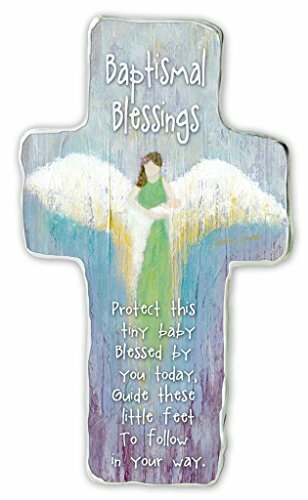 Beautiful Laminated Baptismal Prayer Card and includes Gift Box. Cross Inscription reads "In One Spirit all of Us are Baptized Into the One Body of Christ". Measures 5 inches. Gift Box Supplied. Enjoy this decorative plaque by artist Caroline Simas through cathedral art. Made with art metal which is a hand cast, re-cycled zinc aluminum alloy. The plaque is painted and infused with the artist design before being individually hand-polished, creating a lasting keepsake. Our precious faith based gift set celebrating baby's baptismal or christening includesBeautiful crib cross with white ribbon for hanging. Measures 3 inches. Imprinted with the following saying - Guardian Angels protect us all, giving strength when we might fall. Watching, guiding, lighting the way, Thru the night and everydayCharming Baby's First Book of Prayers contains 41 easy prayers for children to learn and say. 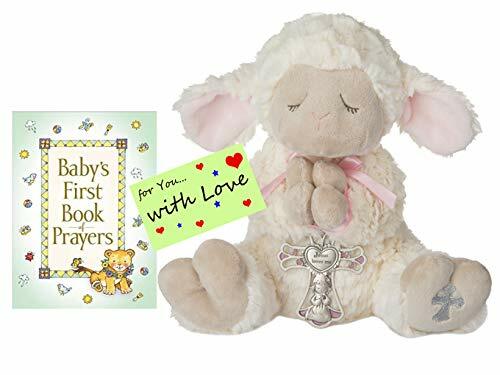 This charming book is a lightly padded, hardcover measuring 4.5 x 6 inchesSweet plush little 5 inch lamb with a rattle on the inside. 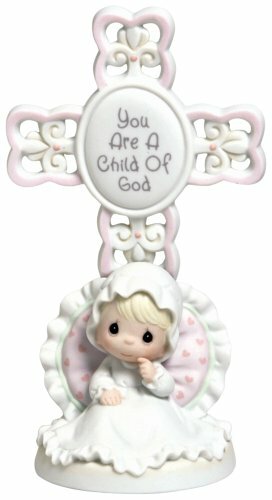 Embellished with a silver embroidered cross on body.We have placed these special mementos in a gift box that includes a lovable poem for baby.A special giftFor a special babyOn a special day. Quality Craftsmanship describes this baby girls wall cross with Pewter Finish and handset pink Crystals. 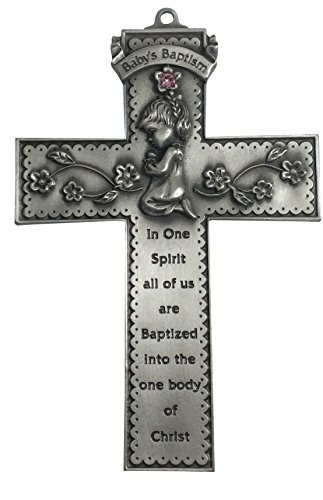 Inscription reads "In One Spirit all of us are Baptized Into the One Body of Christ". Cross measures 5 inches and includes Gift Box. Made in the USA. NOTE: This is an assorted product; color and print advertised are subjected to vary.Founded in 1997 DEMDACO offers a hand-selected collection of tailor-made products that celebrate how people live in their homes, engage with family and friends, and treat themselves. The unique assortment includes inspirational and gift able products for home, entertaining, holidays, the outdoorsman, baby, fashion and jewelry. Our hope is to offer DEMDACO products that reflect a person's desire to nurture goodness in their own lives and in the lives of others. 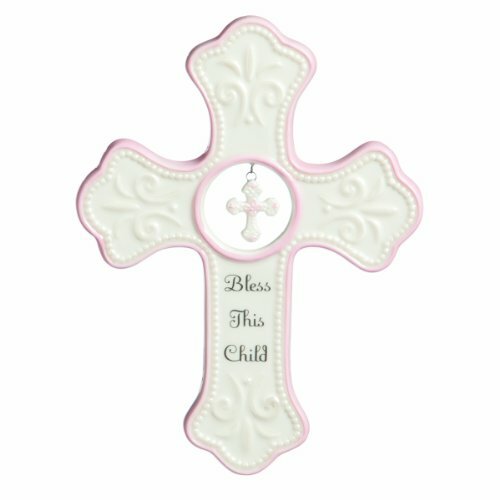 Looking for more Girl Baptismal Cross similar ideas? Try to explore these searches: Girard Napa Valley, Bn Brushed Nickel Lavatory, and Unbleached Baking Cups. Look at latest related video about Girl Baptismal Cross. Shopwizion.com is the smartest way for online shopping: compare prices of leading online shops for best deals around the web. Don't miss TOP Girl Baptismal Cross deals, updated daily.